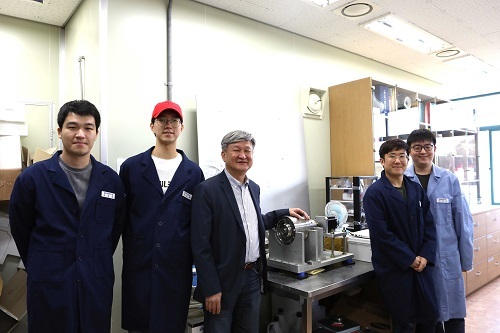 A KAIST team developed technology that allows the mass production of two-dimensional (2D) nanomaterial dispersion by utilizing the characteristic shearing force of hydraulic power. 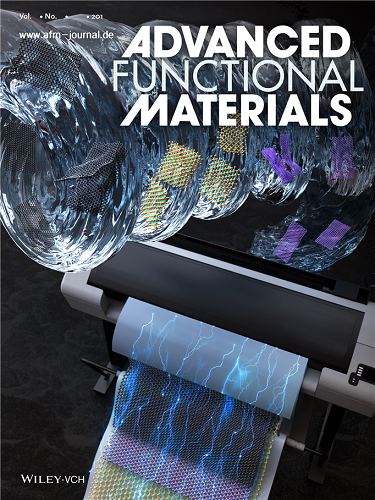 The 2D nanosheet dispersion can be directly applied to solution-based processes to manufacture devices for electronics as well as energy storage and conversion. It is expected to be used in these devices with improved performance. There have been numerous researches on the mass production of various 2D nanomaterial because they show outstanding physical and chemical characteristics when they are truly 2D. With strong mechanical force or chemical reaction only, each existing exfoliation method has its limitation to make 2D material when the scale of manufacturing increases. They also face the issues of high cost and long process time. Moreover, 2D nanosheets by the exfoliation have the tendency of agglomeration due to the surface energy. Usually, organic solvent or surfactant is required to obtain high yield and concentration of 2D material by minimizing agglomeration. After several years of research, Professor Do Hyun Kim in the Department of Chemical and Biomolecular Engineering and his team verified that optimized shearing in their reactor provided the highest efficiency for the exfoliation of nanomaterial. For the increased reactor capacity, they selected a flow and a dispersive agent to develop a high-speed, mass-production process to get 2D nanosheets by physical exfoliation with an aqueous solution. The team proposed a flow reactor based on Taylor-Couette flow, which has the advantage of high shear rate and mixing efficiency even under large reactor capacity. In this research, Professor Young-Kyu Han at Dongguk University-Seoul carried out the Ab initio calculation to select the dispersive agent. According to his calculation, an ionic liquid can stabilize and disperse 2D nanomaterial even in a small concentration. This calculation could maximize the exfoliating efficiency. Professor Bong Gill Choi at Kangwon National University carried out the evaluation of device made of resulting dispersion. The team used a membrane filtration process to make a flexible and highly conductive film of 2D material. The film was then applied to produce an electrode for the supercapacitor device with very high capacity per volume. They also confirmed its stability in their supercapacitor device. Additionally, they applied dispersive nanomaterials including graphene, molybdenum disulfide (MoS₂), and boron nitride (BN) to inkjet printer ink and realized micrometer-thick nanomaterial patterns on A4 paper. The graphene ink showed no loss of electrical property after printing without additional heat treatment. This research, led by Dr. Jae-Min Jeong, was published in Advanced Functional Materials on August 12.